Dicksonia antarctica is the best known of all the tree ferns. It has been grown in Britain and Ireland for years for its ease of cultivation, great beauty and proven cold-hardiness. The uncurling croziers and stipes are covered with soft, reddish-brown hairs. 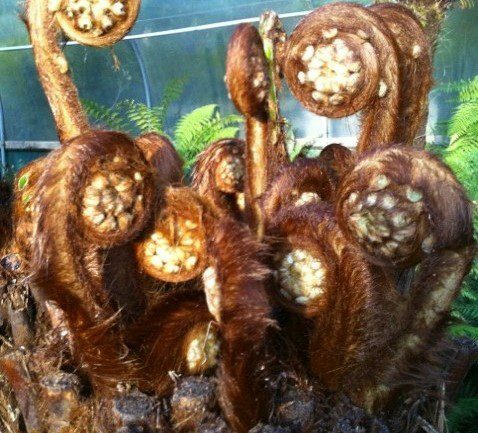 The fronds most often grow to about 240cm in length. Growth is moderate, but trunk development is relatively slow, with about 3cm per year is all that can be expected under normal conditions. Dicksonia antarctica will tolerate a fair degree of exposure to sun but will dislike very strong winds. A sheltered spot in the semi-shade is optimal for maximum growth. The trunk should be watered frequently during dry weather. It is known to be hardy below –10 degrees celsius. Winter protection of the crown with straw or leaves is to be recommended. To be absolutely sure of the survival of your precious tree fern, it is advisable to cover up the top 50cm of trunk. 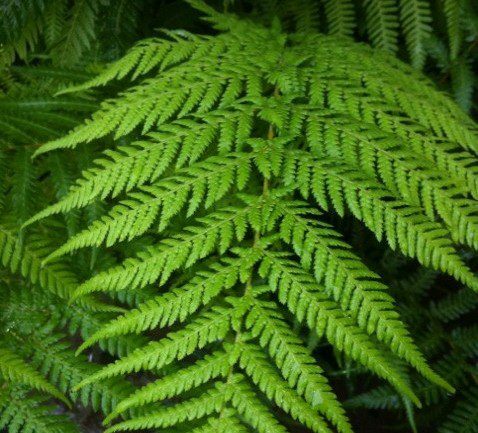 This is most definitely the Tree Fern for the beginner gardener to start with! It ticks all the boxes on price, size, its easily available and the hardiest one on the market. Hardiness: Hardy to -10 celsius and will defoliate around minus 6 taking into account other factors such as wind chill factor and aspect. Needs to be protected at temperatures below -6 celsius.